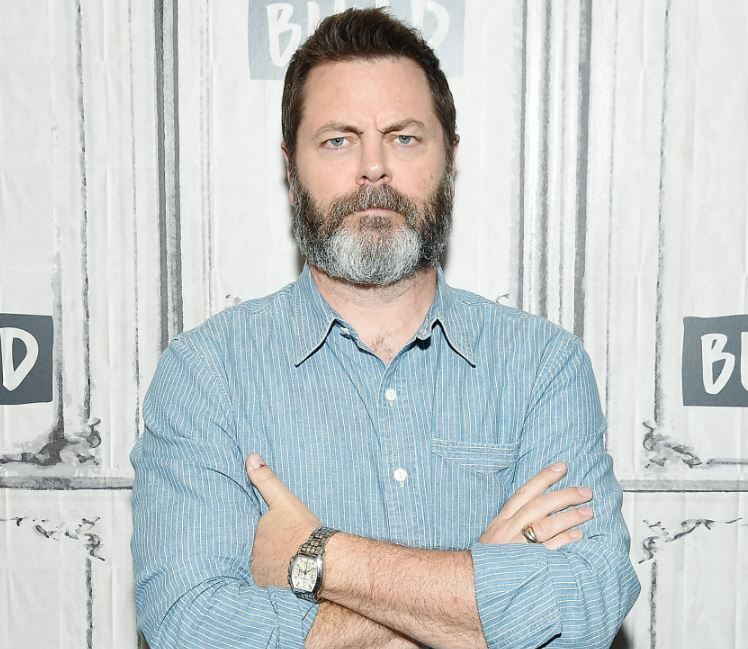 Nick Offerman, whom we perceive as a successful actor, started his career as a carpenter; and has made himself one of the best Hollywood actors. So, how did he began his journey as a carpenter and ended up as a star? Let’s get quick information including his biography through this wiki! 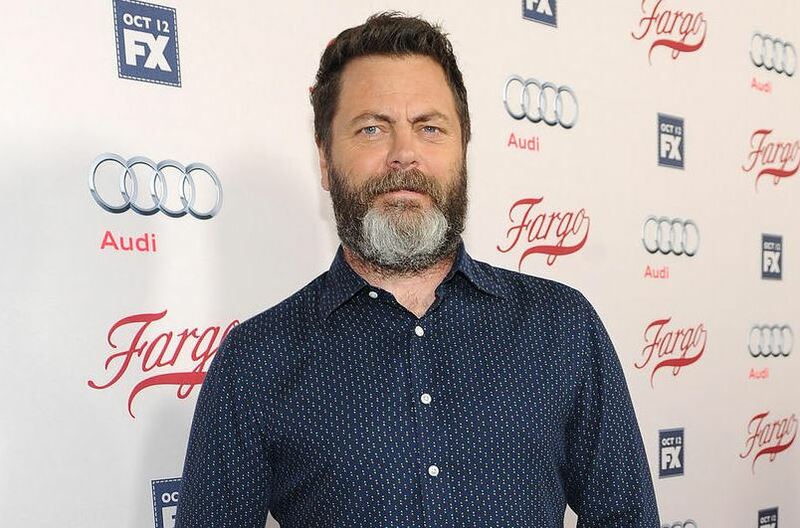 Born on 26th June 1970, Nick Offerman’s hometown is in Joliet, Illinois. He is American born actor and author belonging to German ancestry and white ethnicity. His zodiac sign is Cancer. He is the second child of Cathy and Rick Offerman with three other kids. For education purposes, he went to the University of Illinois. His grandfather, Ray Offerman was the one to influence him to be a comedian. After completing his education in 1993, he decided to move to Chicago with his friends. There, he found an innovative acting company named Defiant Theatre. In 1996, after three years of struggle, he finally got a minor role in ‘Chain Reaction’ movie. 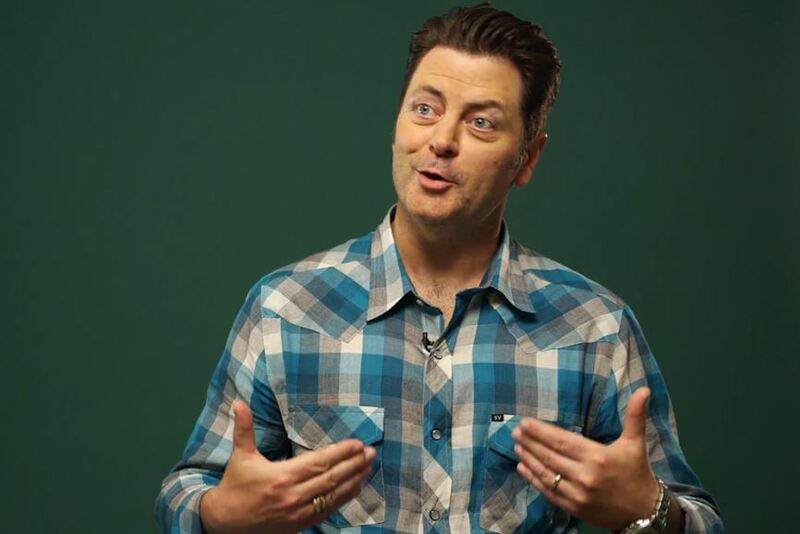 Nick Offerman is an actor, author, comedian, and entrepreneur. Then he was seen again in ‘Going All the Way’ in 1997. He worked with Ben Affleck for the movie. As he first started his work as a carpenter in the theatre; he continued to do so to make his economy stable. Soon, he began working in TV series like The West Wing, 24, ER, Gilmore Girls and became famous. The notable movies he worked to date include Murder by Numbers, Cursed, Sin City, 3 lbs, All Good Things, Smashed, 21 Jump Street, We’re the Millers, Nick Offerman: American Ham, The Lego Movie, and Infinity Baby. He also voiced in Hotel Transylvania 2, Ice Age: Collision Course, Sing, and other anime movies. 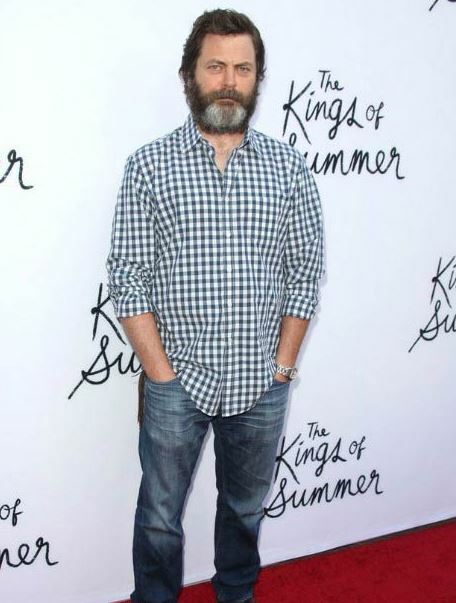 As of 2018, he has three projects including Heart Beat Loud and Bad Times at the El Royale. The successful actor and author have earned quite a right amount of money through this career. One of the wiki sources mentioned his estimated per episode salary is $30,000. As of 2018, Nick’s estimated net worth is about $4 million. Nick is a married man. He exchanged vows with his wife Megan Mullally on 20th September 2003. He dated her for 18 months before marrying her. Nick met her while working for ‘The Berlin Circle’ play project. Both Nick and Megan share good bond and understanding. As both husband and wife are from the same field, they do make public appearance frequently. In 2001, Nick appeared as a guest in his wife’s show ‘Will and Grace.’ Both have together contributed to movies like Hotel Transylvania 2, Smashed, and The Kings of Summer. Nick was born to the house of Cathy Roberts, a nurse; and Rick Offerman, a junior high school teacher. 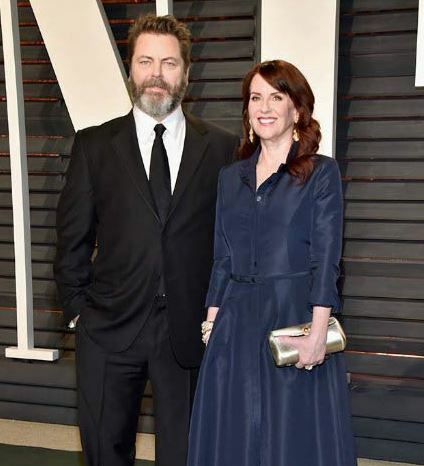 As siblings, he has one brother Matt Offerman, and two sisters Laurie and Carrie Offerman. Nick belongs to German ancestry and belongs to white ethnicity. He is decently tall with the height of 5 feet 11 inches and weighs about 91 kilos. He has dark brown hair and blue eyes. According to Healthy Celeb, his body is measured 45 inches Chest, 15 inches Arms, and 39 inches Waist.